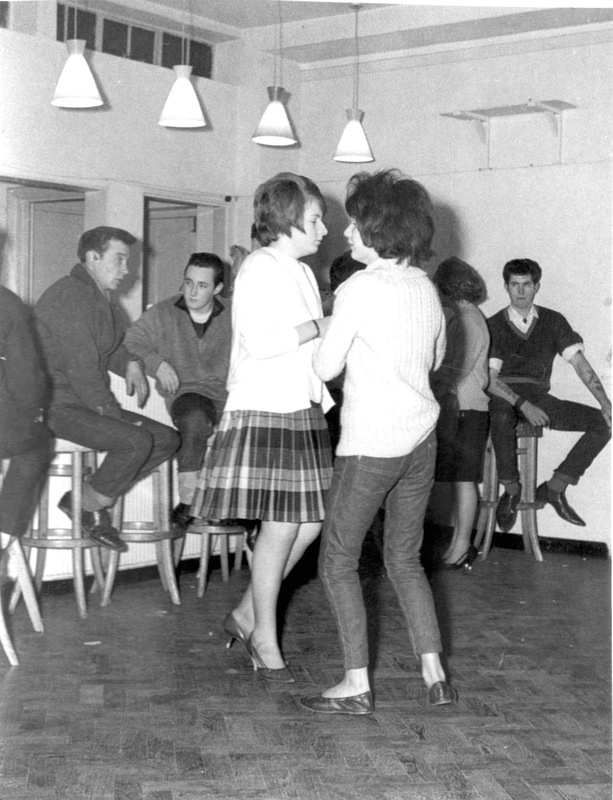 The Marmion Youth Club in Marmion Road, behind the old ABC cinema, was a very popular evening out for the teens. There were sporting events weightlifting and various bands playing including the popular Mark Adam Showband. However it was usually just sitting around listening to the records of the day drinking Coke. Do you remember the Marmion Youth Club? Do you recognise yourself or anyone else? Please share your memories by posting a comment below. Hi Rodger. Any dates for your photos? 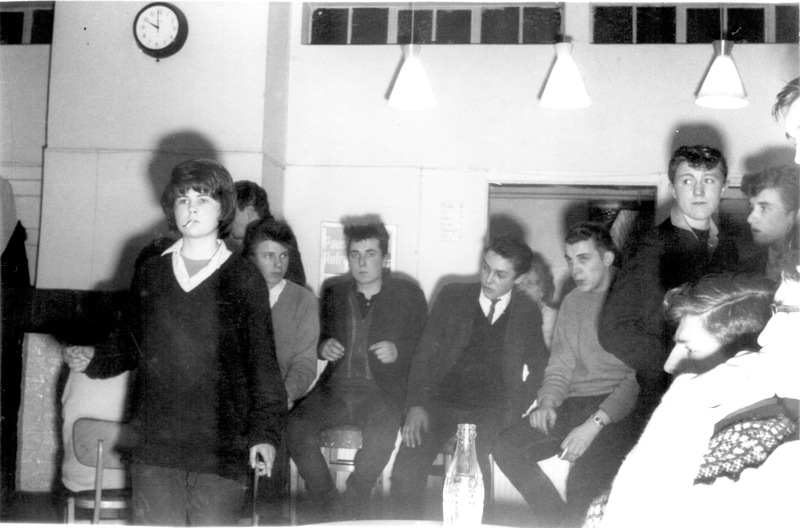 And is that a young Sid Mountain in the top picture, on the right, standing up with his right hand in his coat pocket? If it is, he lived with his family in St Michael’s Road, Portslade. Michael I think that I would have taken them sometime in 1962. And yes I think that was Sid. I think the young lady dancing on her own is Joy Cork who I believe was the daughter of John Cork, the leader of 5th Hove scouts. Rodge that Mecablitz was a powerful flash gun, if a tad heavy. Photographs still look good and moody . I used to attend the youth club from 1966-1968 and have happy memories of this place with dances every Friday night. In the upstairs room local pop bands would play, and there were lovely butterscotch milk shakes at the cafe, happy times. Hi Rodger, did you used to work at M B Metals in Portslade? Yes Margaret, that was me. I worked in the R&D dept alongside Tony. I often thought about the two of you. I live in Lichfield, Staffordshire now. Margaret there are a number of pages on My Brighton and Hove dedicated to MB Metals. Maybe there will be some memories there for you? Hi Rodger, having asked about you I then completely forgot about it until I was looking at old emails recently. Good to hear from you and do hope you are well. We have never left Sussex and doubt we will now as we are too fond of the area. I remember you very well from M B Metals. Antony moved on from engineering to teaching in the 70s, but is retired now of course. All the best. Great to hear you are both well. I also moved on and worked in sales for Computer and IT companies, but still tell everyone how enjoyable it was working at MB Metals. Married twice (clocked up 30 years this time) and we have seven grandchildren aged from 2 to 16. Five of them in the USA. All the best. Hi does anyone remember me? 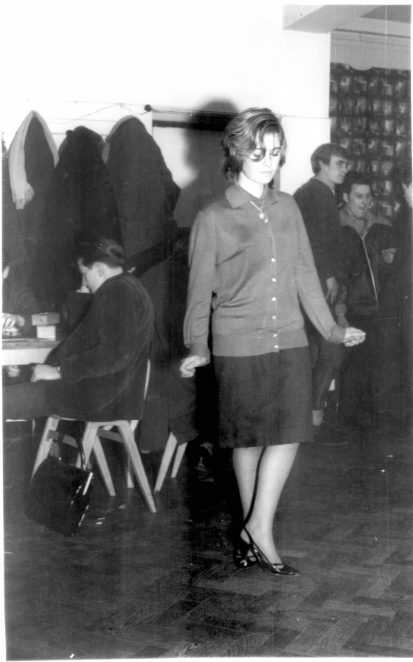 I used to go to the club in the early sixties. Like to hear from anyone of that time.